Balance your books and provide assurance for your clients by letting our accountants conduct comprehensive financial reviews in Conroe, TX. Pierson & Pierson, CPA'S PLLC performs reviews, as well as compilations and audits, to provide a financial overview of your company. Using your information, we look over your numbers to offer reassurances to outside interests. Our accounting firm offers a wide array of services that include tax preparation, financial planning, and bookkeeping for businesses and individuals in Conroe, Houston, The Woodlands, Spring, and Kingwood, Texas. We provide discounts to firefighters, police officers, and military members who use our financial services. Choose a trusted and well-established firm to perform an independent financial review of your company. Rely on our accountants to do a thorough review that verifies your data. We work with your financial statements to provide what is called "limited assurance." When we give our stamp of approval, it means that your financial statements conform to generally accepted standards. A financial review falls between an audit and a compilation in terms of thoroughness. An audit is an extensive investigation into the numbers that make up the financial statements, while a compilation deals with gathering data to present the statements to management. With a compilation, we review and approve the statements themselves. Grow your portfolio with the guidance of our knowledgeable and experienced accountants. We help you achieve your long-term financial goals, such as planning for retirement and putting your children through college. To do this requires careful allocation of your assets into growth areas over a number of years, even decades. Over that time, we carefully monitor investments to ensure they are performing as promised. Our services also extend to doing your taxes, advising you on insurance options, managing your estate, and helping you plan for business succession. Working with our CPAs, you can look forward to a comfortable and enjoyable retirement. 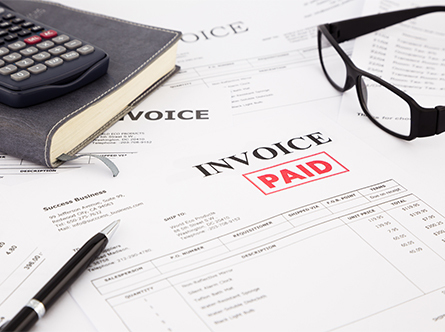 Improve your company's liquidity with cash flow forecasting from our accountants. We look over your budget and make adjustments so that there is ample cash flow now and in the future. When your finances are sufficiently liquid, you can decrease costs and increase profits in your business operation. Usually, a cash flow forecast is prepared for the upcoming year. However, our accountants can predict shortages or surpluses in cash for any period of time you would like. We do this by anticipating the money that is coming in and going out. Our forecasts give you the information you need to make good business decisions. Contact us today to review your company's financial statements. We provide tax preparation and bookkeeping, as well as financial and accounting services for residents of Conroe, Houston, The Woodlands, Spring, Tomball, Montgomery, Magnolia and Kingwood, Texas.